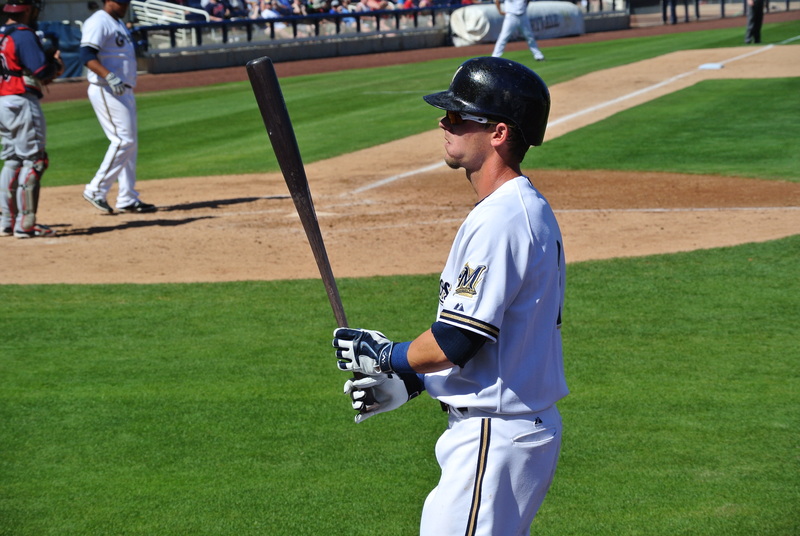 The Milwaukee Brewers are looking for more offense from their second base position. Wednesday, they recalled Scooter Gennett from Class AAA Colorado Springs after he hit .307 in 21 games with the Sky Sox. Gennett was sent to the minors in May because he was struggling at the plate. To make room on the roster, the Brewers sent reliever David Goforth to Colorado Springs. Gennett was hitting just .154 when he was sent to the minors. His replacements, Hernan Perez, Hector Gomez and Luis Sardinas all struggled offensively themselves. 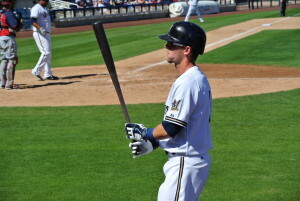 The Brewers rank last in the majors in nearly every offensive category at second base. Jimmy Nelson surrendered five runs in the first inning on Wednesday and the St. Louis Cardinals went on to knock off the Milwaukee Brewers 7-4 at Busch Stadium. The first six hitters reached base for the Cardinals in the bottom of the first and the Brewers didn’t get out of the inning until Nelson struck out St. Louis pitcher John Lackey. The Milwaukee Brewers fell behind the Los Angeles Dodgers 3-0 at Miller Park last night, then battled their way back for a 4-3 victory in Craig Counsell’s managerial debut. 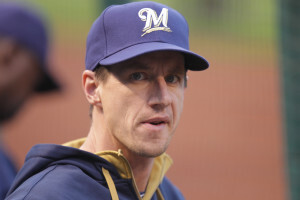 Counsell was hired by the Brewers to replace the fired Ron Roenicke. But even Counsell knew he wouldn’t be able to instill too much change over night. 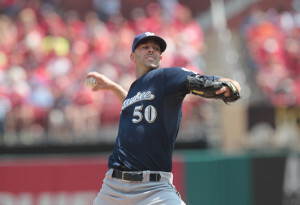 The Milwaukee Brewers gave regulars Ryan Braun, Aramis Ramirez and catcher Martin Maldonado the day off on Sunday, but the reserves came to the rescue, knocking off Lance Lynn and the St. Louis Cardinals 6-3 at Miller Park. 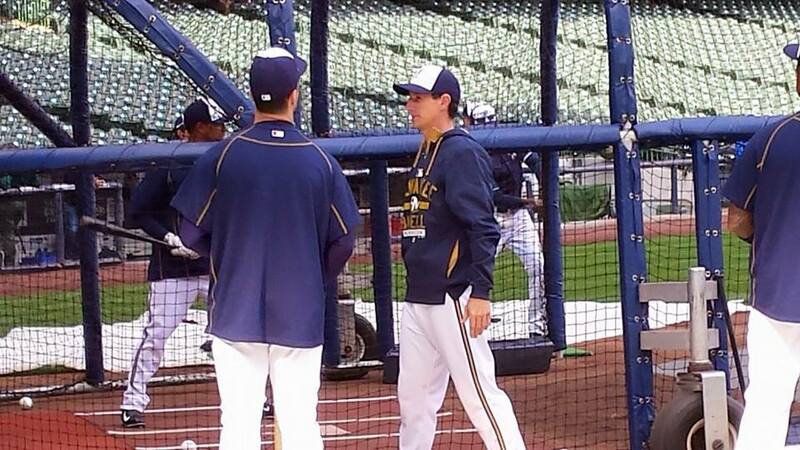 The Milwaukee Brewers are fighting to stay in the National League playoff picture. They came from behind to knock off the St. Louis Cardinals 3-2 in 12-innings on Tuesday night at Busch Stadium. It ended a string of eight straight Cardinal victories over the Brewers at Busch Stadium. St. Louis scored two runs in the first inning off of Wily Peralta, but it could have been worse. Peralta walked in a run and faced the bases loaded with no outs. But Peralta got Jhonny Peralta to ground into a 6-4-3 double play that made it 2-0. Yadier Molina followed with a comebacker to Wily Peralta and the damage was minimal. Peralta and the rest of the Brewers pitching staff then held the Cardinals scoreless for the next 11 innings to pull out the win. 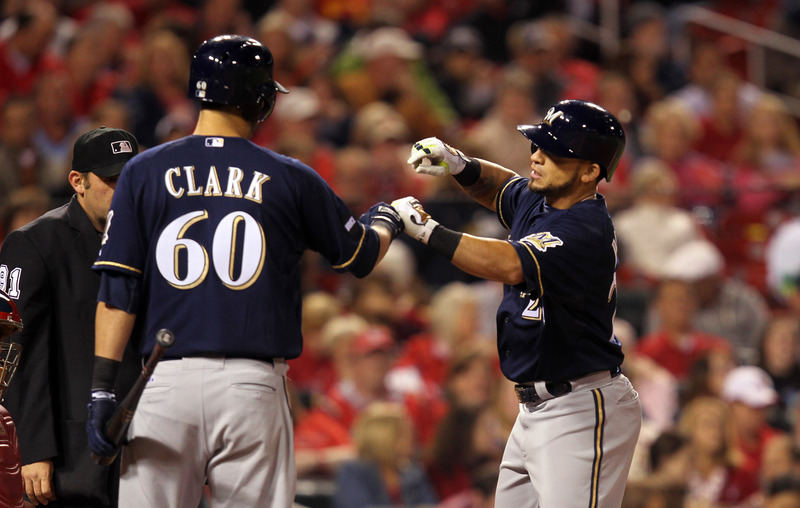 Gerardo Parra gave the Brewers one run when he homered off of Cardinals starter Lance Lynn in the fourth.